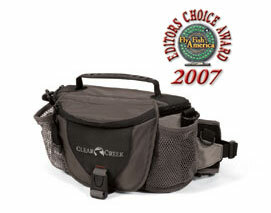 Welcome to the Clear Creek Company Tackle Accessory Page! 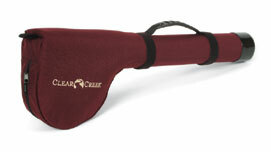 Based in Denver, Iowa; Clear Creek Company has been making rod tubes and fishing accessories for several years. 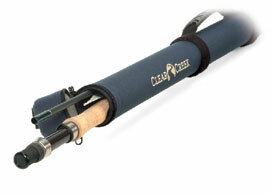 A fair number of the rod tubes that protect your rods are very likely made by Clear Creek. 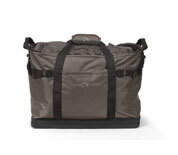 These products are well made using high quality fabrics and materials and are designed to withstand the worst that the airlines and traveling can do to your expensive gear. 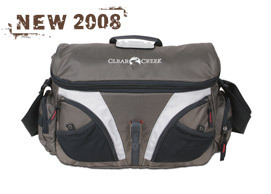 Whether you are traveling to a far away place to chase trout or you are fishing for bluegills in a local pond, these cases will protect your valuable rods, reels and equipment. 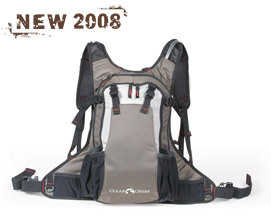 For 2008 they have added several new packs and gear bags. 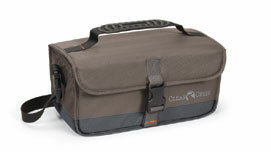 Neoprene Reel Case: This maybe the most popular item that Clear Creek has introduced. This is a clam shell design that allows you to slip the cover over a reel handle and will protect your reel while attached to a rod. 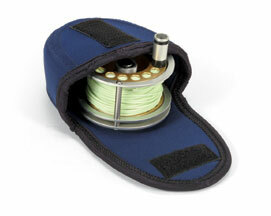 Allows you to keep your rod strung up when driving from fishing hole to hole. Case can be used alone without the rod as well. Tapped seams with Velcro enclosure. Navy Blue. Neoprene covers call also be used with the above cases for extra protection. Small / 3.25" reel, Medium / 4.25" reel. Large / 5" reel, X-Large: 5.5" reel. Whether you custom build rods or own hand made bamboo rods, Clear Creek has some well made cases to protect your valuable rods. 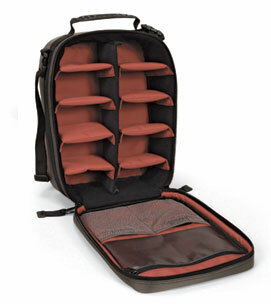 All of the rod cases shown are cordura covered pvc with zipper ends. All have a lifetime warranty. 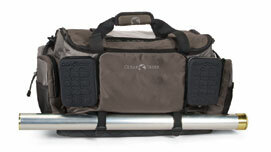 Clear Creek does offer aluminum tubes, and rod bags, email me for more info on prices and sizes. 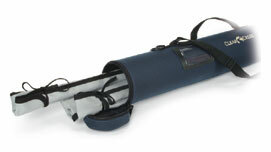 Cloth Rod Tubes: Compact and durable, these tubes are ideal for holding your favorite rod. 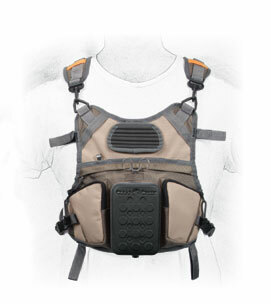 Has an interior shewn in pouch so you don't need to fool with a rod bag. Take your rod down, push the pieces in each divider and zip shut. 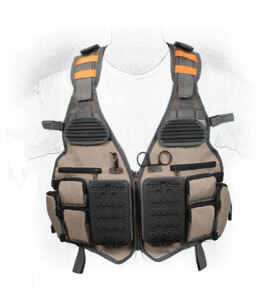 Foam padded ends and exterior rubber molded handle. Colors: Burgundy, Navy or Forest Green. 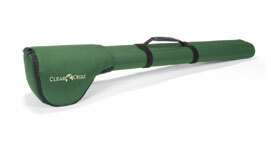 Spey Rod or Spinning Rod Case: As far as I know this is the only spey rod case on the market that allows you to keep the reel attached to the rod. End has a rubber scuff cap to protect the tube. 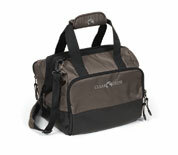 Has a shoulder strap and a padded reel compartment. 2" or 2.5 "Custom sizes available for extra long rods. For more information about sizes, styles or lengths, email. 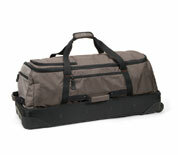 I can custom order rod bags and metal tubes as well.